Turkish prosecutors have issued arrest warrants for 140 Constitutional Court members and 48 members of the Council of State in the wake of Friday night’s attempted coup. Ten arrests have already been made, local media reported. The ten jurists detained were all members of the Council of State, which is Turkey’s top administrative court, NTV broadcaster reported. The arrests followed media reports that judges at other courts had been detained, as the government’s crackdown on the judiciary in the wake of the coup attempt widens. Constitutional Court member, Alparslan Altan, has become the most senior judicial official to be arrested after the coup, CNN Turk broadcaster reported. Earlier on Saturday, Turkish authorities relieved 2,745 judges of duty. 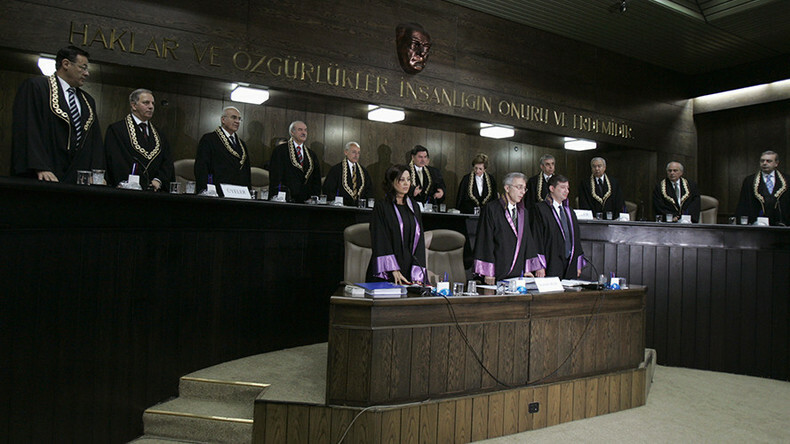 The decision to sack the judges was made at an extraordinary meeting of Turkey’s High Council of Judges and Prosecutors (HSYK), NTV broadcaster reported. According to Anadolu news agency, five members were also removed from the HSYK, which is the country’s highest judicial body. A faction of the Turkish military attempted to overthrow the government of President Recep Tayyip Erdogan on Friday night, employing tanks and attack helicopters. Turkish Prime Minister, Binali Yildirim, reported that 2,839 soldiers and officers implicated in the overnight coup attempt have been arrested. At least 265 people were killed, including 104 pro-coup participants, while 1,440 people were injured in military action in the capital, Ankara, and the country’s largest city, Istanbul. 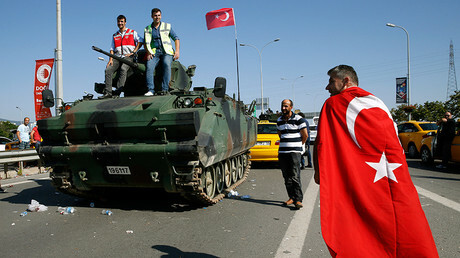 Tanks attacked several government buildings, including the Turkish parliament, where lawmakers hid in shelters inside the building. Several airports were shut down and access to social media was blocked in the first hours of turmoil. The bridges over the Bosporus Strait were also blocked. The TRT state television and the Turkish branch of CNN were seized by the rebelling troops and ceased broadcasting. The conspiracy appears to have failed, as the organizers of the coup were unable to gain wide support from the military or population, and didn’t manage to capture any high-ranking officials. The head of Turkey’s armed forces, chief of staff General Hulusi Akar, was held hostage by the coup perpetrators for several hours, but was later rescued. Turkish officials accuse Fethullah Gulen, an influential cleric in self-imposed exile in the US, of instigating the plot.